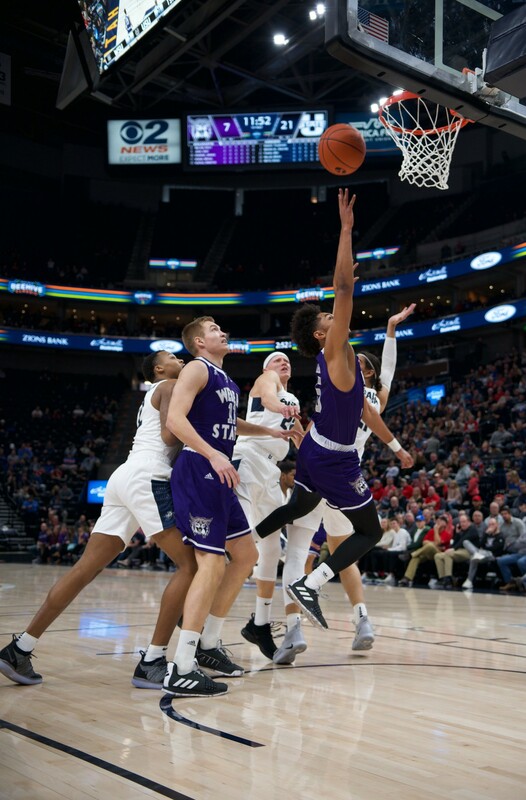 For the second straight year, the Weber State University men’s basketball team went south to Salt Lake City for the Beehive Classic at Vivint Arena. For the second straight year, the Wildcats were sent packing back to Ogden with a defeat. 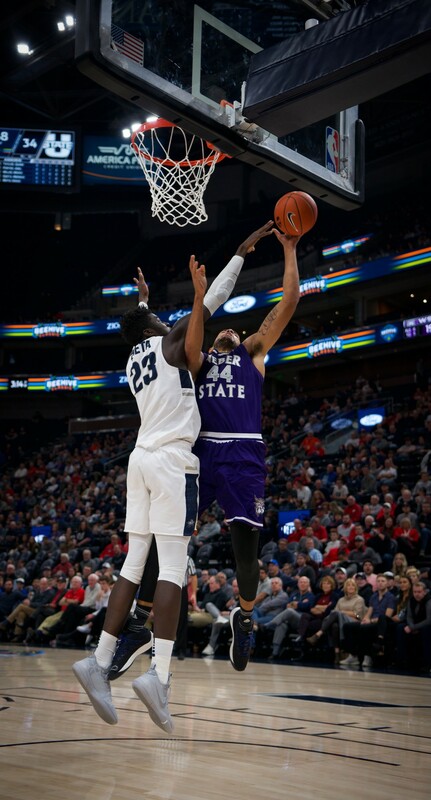 The Utah State University Aggies handed WSU a 76–67 defeat on Dec. 8. Junior guard Cody John led the Wildcats in scoring with 16 points, one of four starters who reached double digits in scoring. Freshman Caleb Nero, senior Zach Braxton and senior Brekkot Chapman scored 15, 14 and 11, respectively. 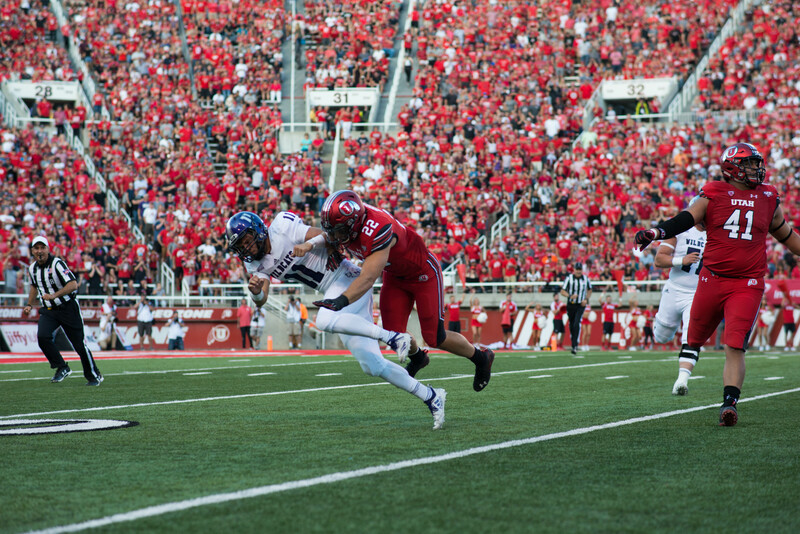 Weber State never led in the game, as the Aggies scored the first nine points. Their first points came five minutes in, when Chapman connected from beyond the arc. Utah State led by as many as 18 points in the first half. An 11–4 spurt by WSU cut the deficit to 39–27 at halftime, keyed by six points from Braxton. After four quick WSU points to open the second half, USU attempted to blow the doors off. The Aggies went ahead 57–40, an almost insurmountable lead, with 8:39 to play. 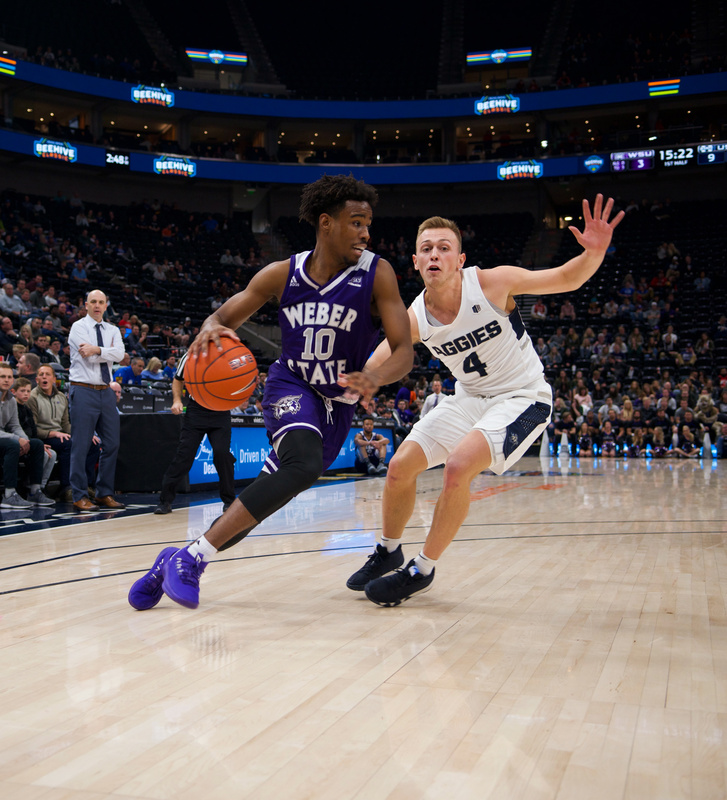 The ‘Cats were down, but not out—they went on a 13–2 run in the next three minutes of play. Nero scored eight of the 13 points, including two three-pointers. Despite cutting the deficit to six, WSU was unable to complete the comeback. Redshirt freshman guard Brock Miller hit a backbreaking three to put the Aggies up by nine with just under four minutes left on the clock. A three-point play by Nero cut the deficit to 68–62 with 58 seconds to go, but it was too little too late. The Wildcats were forced to foul and stop the clock on the next two possessions, and Utah State sunk all four free throws. 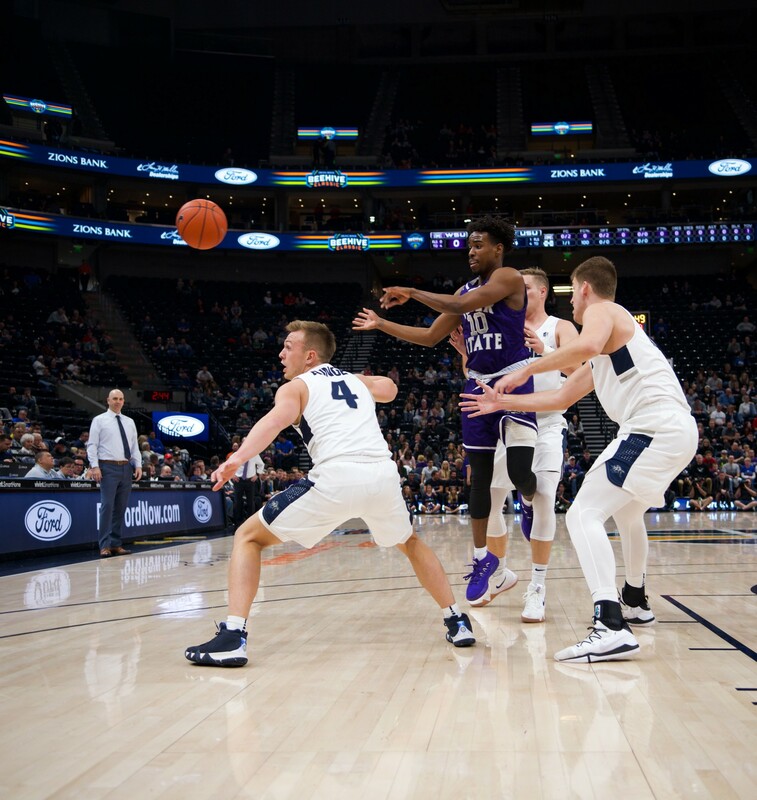 The Aggies dribbled out the clock for the nine-point victory, the first time they have defeated Weber State since 2015. 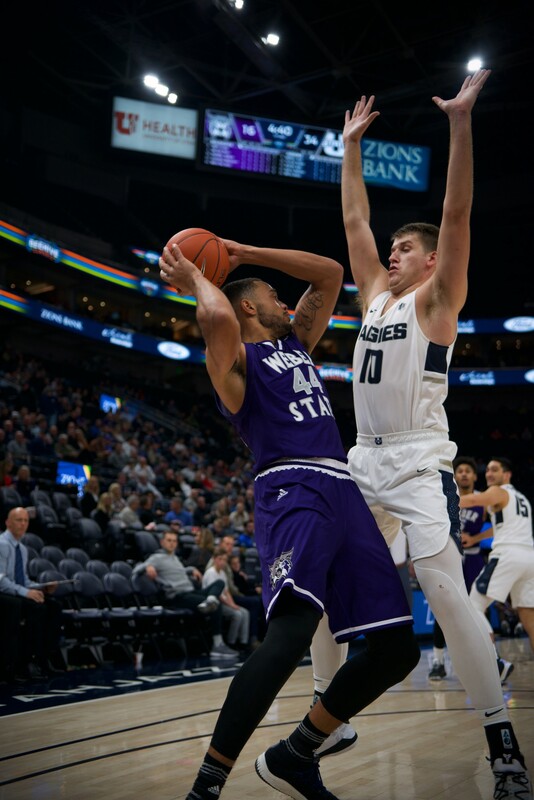 WSU won in Logan in 2016, and beat Utah State at the Dee Events Center in last season’s home opener. 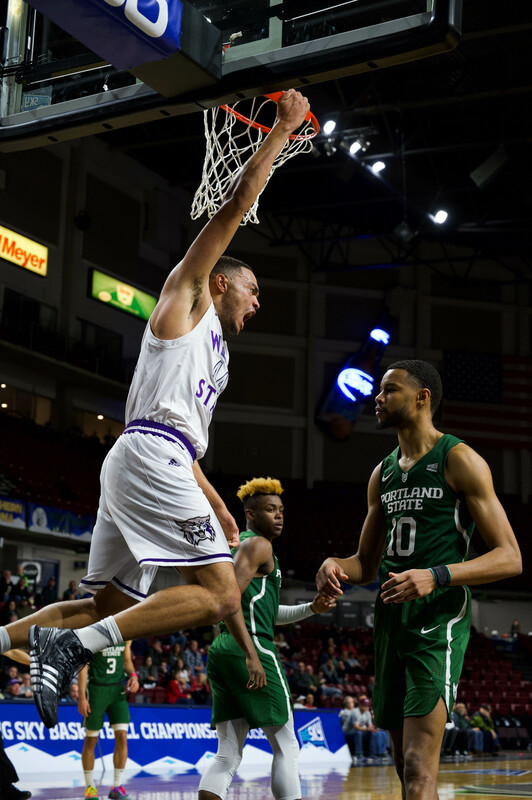 It was the second consecutive loss for the ‘Cats, who lost to Fresno State University in their last matchup. WSU is now 5–4 on the season. The Wildcats will have a week off before returning to action on Dec. 15 at home against Utah Valley University. It will be the penultimate non-conference game of the regular season.